Philip II was the father of Alexander the Great. Denomination : 18 mm bronze. Size : 17.2 x 18.1 mm. Weight : 4.81 grams. Grade : gVF/XF mid blue-green patina with earthy deposits. Obverse : Head of Apollo right. 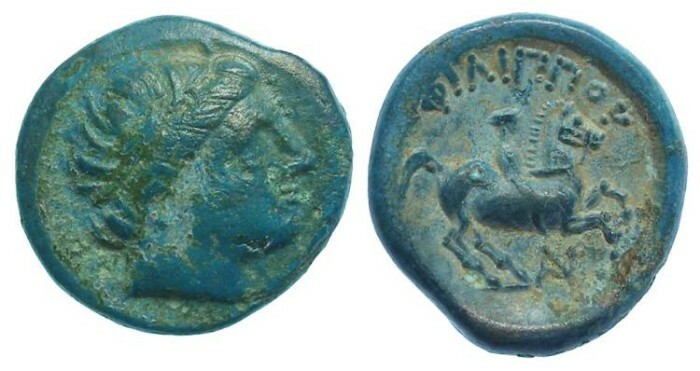 Reverse : Boy riding a horse which is prancing right, with FILIPPOY above, with an AN monogram below the belly.